explore some of the Atlantic Isles’ most awe-inspiring gardens and floral landscapes. Jenny Tobin is renowned for her work on blockbuster films such as “Allied” and “Fantastic Beasts, and Where to Find Them,” as well as for her floral arrangements at the most sought after hotels around the world and even for the British Royal Family. Jenny will be imparting her knowledge, tips and insight into her career during the voyage, which departs following Queen Victoria’s refurbishment this June. 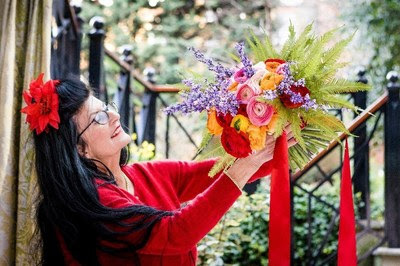 “With the increasing popularity of gardening and flower arranging, we felt it was important to offer our guests a voyage tailored to their passions with some of the leading experts in the industry,” said the senior vice president, Cunard North America. Awarded ‘#1 Mega-Ship Ocean Cruise Line’ by Travel + Leisure’s 2016 World’s Best Awards and ‘Best World Cruise Itineraries’ and ‘Best Trans-Atlantic Itineraries’ by Porthole Cruise Magazine’s 2016 Readers Choice Awards, Cunard is a proud member of World’s Leading Cruise Lines, a part of Carnival Corporation & plc (NYSE/LSE: CCL; NYSE: CUK), the largest cruise vacation company in the world. Together Cunard, Carnival Cruise Line, Fathom, Holland America Line, Princess Cruises, Seabourn, AIDA Cruises, Costa Cruises, P&O Cruises (Australia) and P&O Cruises (UK) operate 102 ships visiting over 700 ports around the world and totaling 226,000 lower berths.